In today's "WTF" moment, a tote is going viral for its cringeworthy and incredibly puzzling design. 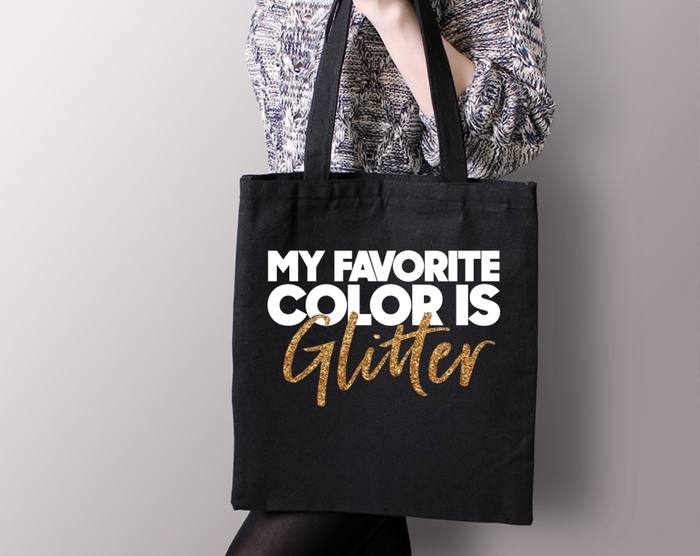 BelleChic is selling a tote from Quotable Life that writes "My favorite color is glitter" -- but because of the thick, elaborate font, it reads "My favorite color is Hitler." Okay. We're not entirely sure how the bag's designers didn't notice their mistake, but Twitter certainly has. The tote, which sells for $12.99 on BelleChic's website, quickly ignited social media -- many users were quick to tear apart the tote and those selling it. The sad thing is that multiple people had to approve that.  And no one caught it. "While I realize that most of the social media buzz and commentary has been tongue-in cheek, the type of abhorrent sentiment conveyed as part of the misinterpretation absolutely does not align with our company values, nor is it something we would ever want to encourage or support," said Matt Molen, Chief Marketing Officer for BelleChic, to Allure. @Helen_Quint ha true! 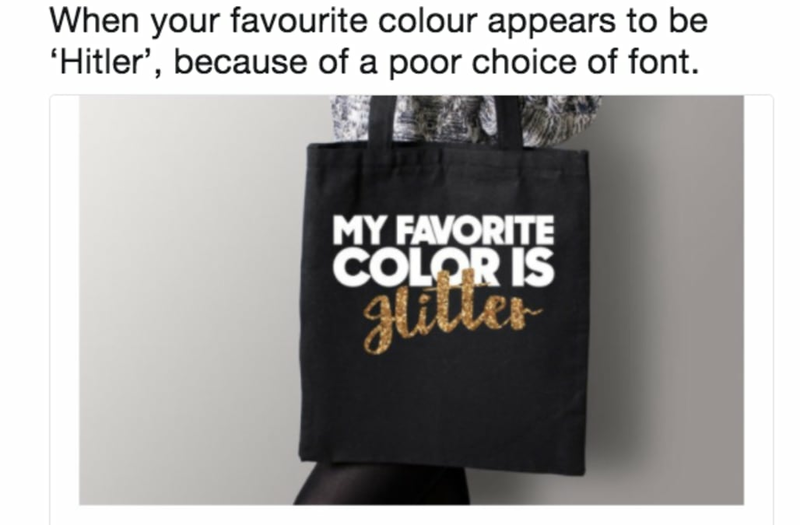 I reckon Hitler's favourite colour was glitter.